All existing apps and their data on the iPhone will be replaced with apps from this iTunes library. If you’re setting up a new computer and have Authorized This Computer (Store -> Authorize This Computer) already, it seems weird that iTunes won’t let you just sync your apps from the device. 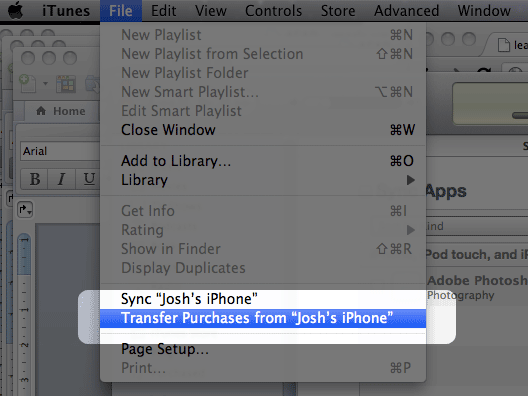 For whatever reason, you ALSO need to “Transfer Purchases from” the iPhone or iPod in question. Crazy huh? Nevertheless, it’s actually pretty straightforward.